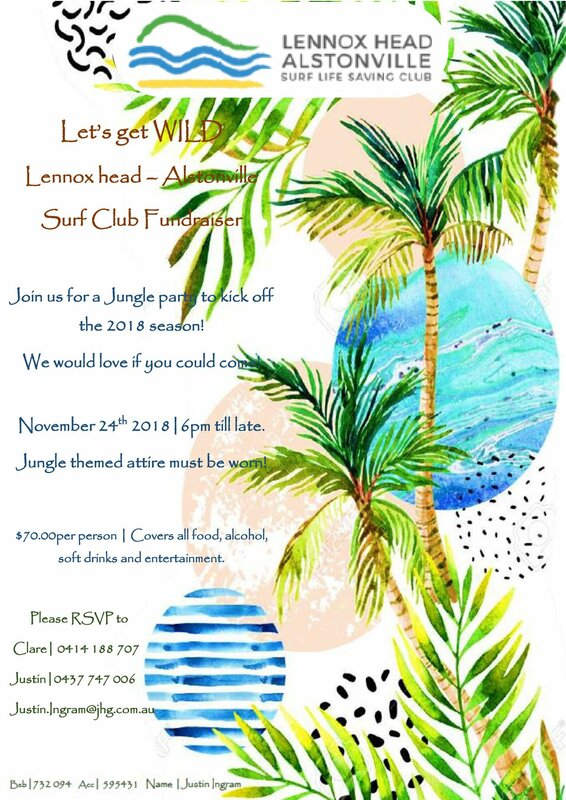 Surf Life Saving Junior Activities, or ‘Nippers’, is a great way to introduce your child to surf live saving, offering a program of surf awareness, skill development and competition. Nippers caters for children from 6-14 years of age, offering them the opportunity to be active, have fun, make friends and to enjoy and understand the beach in a safe environment. Whilst competition is an important element, the surf awareness and education aspect is our primary aim. Children are taught from a young age to respect the ocean, and how to read surf and use it to their advantage. Our nippers program offers fun and educational activities for children aged from five to seven years of age, whilst children eight years and older may participate in the many inter-club competitions and carnivals that are conducted across our local beaches throughout the season, all the way through to NSW Country and State championships. All nipper activities and competitions are conducted in a fun environment with a focus on a healthy lifestyle and camaraderie, which is unique to Surf Life Saving. Any child over the age of five may join Nippers. They do not have to be super competitive or athletic – everyone is welcome; and in fact one of the best features of Nippers is seeing young children who are afraid of the water develop through their training and before too long, they are joining in with the other kids. Our club conducts two sign-on days during the month of September, in preparation for the start of our season in October. You can also join up online HERE. Alternatively, you can simply pay us a visit on a Sunday morning between 9am and 11am and ask to speak to the Registrar. You also have the option of emailing the Registrar: lennoxregistrar@gmail.com . Children with disabilities are welcome at our Club. We also hold events to encourage active participation in Nippers. In the interests of safety, some children may require a Doctor’s letter to ensure they can undertake certain events or activities. In all cases, the child would not be expected to participate in any event or activity where their disability is potentially dangerous to them. Our nippers handbook provides detailed information about the steps the Club takes to ensure the safety of your child, the way our Sunday beach days are organised, and a general overview of the competitive aspect of Nippers. You can download our Nippers calendar here for your guide to the nipper season. The Club provides additional training sessions for our nippers. These sessions are optional and are designed to help build each child’s competitive skills. How old must my child be to join Nippers? Nippers age groups are determined based on the age the child is at midnight on the 30th September that year. So if your child turns 10 on or before September 30 that year, they will be in the Under 11’s age group for the nippers season commencing on 1 October that same year. What does a typical Sunday morning nippers session look like? Our nipper activities commence at 9am and conclude by 11am (or 10.15am for the U6 and U7 age groups), with the idea being to have children out of the sun before the hottest part of the day. Under the control of their volunteer Age Manager, the children participate in a variety of activities that build surf awareness, surf safety and surf skills using the Surf Life Saving ‘Surf Ed’ Program. Each child is required to participate in the ‘Surf Ed’ program for their age group before the end of the season. Competitive events on the beach and in the water also form part of the overall Sunday morning program and are dependent on water conditions and Carnival scheduling. It should be remembered that while Surf Ed is compulsory, competition is not. No child is forced to compete in any event for which they have not trained, are not capable, or if conditions are inappropriate. The overall emphasis at Nippers is to have FUN! What are some typical Nipper Events? Beach Sprint – involves running over a set distance on the sand. Beach Flags – involves lying flat on the sand, then getting up and running a short distance to grasp a ‘flag’ that has been placed in the sand. Beach Relays – teams run a relay over similar distances to the beach sprint. Surf Wade – is for our younger competitors and involves running through shallow water around a heavily supervised course. Surf Swim – swimming from the beach, out and around a “U” shaped course of approximately 80m long and back again. Board Race – similar to the surf swim course, but participants paddle a “Rescue” board around the course. Iron person – a race involving running on the sand, swimming and then paddling a board around a set course. Board Relay – a team paddles their board in turn around a set course. Board Rescue – one competitor swims out to a buoy. Once they signal that they have arrived at the buoy, their team mate paddles their rescue board out to collect them, and they both paddle back on the board to shore. Our Club is fortunate to have the equipment needed to participate in nippers. Those that are serious in their commitment to the competitive level of participation often choose to buy their own equipment/boards, but this is entirely up to them. For safety reasons, ALL nippers are required to wear the pink rash vest whilst participating in nippers activities and during competition. Otherwise the only equipment needed is swimmers, a towel, sunscreen – and a smile! Surf Life Saving is run on the goodwill of its many volunteers. Parents and carers are actively encouraged to participate in the organisation and running of the weekly Sunday events, and indeed, the Club itself. Many parents are either former or current members of a Surf Life Saving Club and assist with the provision of water safety. Other parents act as Age Managers or join one of our Club committees. You may also consider becoming an Official to help in the running of carnivals. 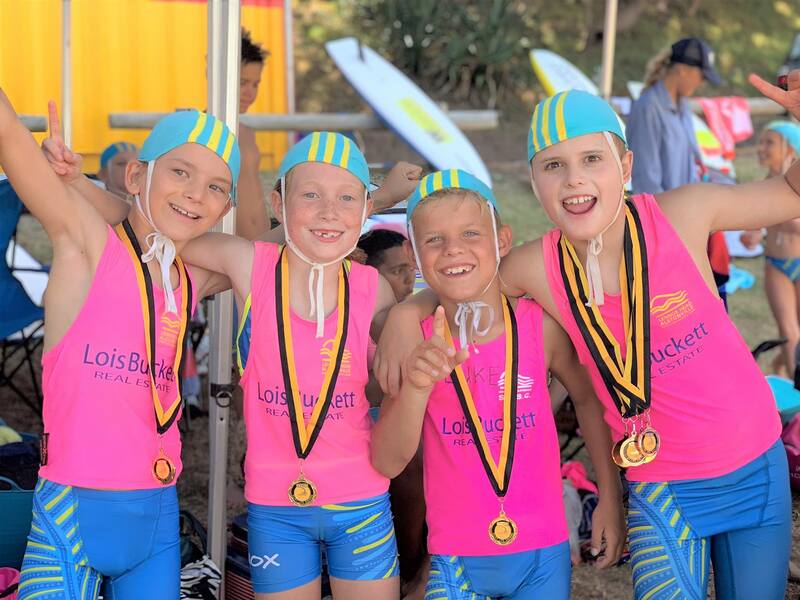 Carnivals are held at beaches throughout the Far North Coast Branch during the season, and this is where our nippers, competing as individuals and also in teams, get to put their skills against nippers from other clubs. Carnivals tend to start very early, and sometimes you may still be on the beach at 3-4pm, so it’s important to come prepared. Bring swimming goggles, lots of sunscreen and sun protective clothing including a hat, your board if you have one, and don’t forget your pink rashie, a towel, and plenty of water and food refreshments. We usually provide one or more tents for sun protection between events, but you may also wish to bring a chair. Your child’s Age Manager is your first port of call for information at Carnivals, and you can also direct queries to the Team Manager on the day. In addition to local carnivals, there’s also the opportunity to compete at the Country Championships (U8-U14) and NSW State (U9-Masters). Can I join your club mid-season? Yes you can. Pay the Registrar a visit on Sunday mornings between 9-11am for more information, or email them at lennoxregistrar@gmail.com .